Allahyar Legend Markhor Animated Movie Teaser Update: It’s refreshing to see Pakistani cinema making waves and competing with their counterparts around the world by exploring new ventures in film making. The teaser trailer of Pakistan’s animated movie, “Allahyar & The Legend of Markhor” was released and Allahyar Legend Markhor Animated Movie Teaser looks impressive, to say the least. Video Credit: Click HereNot much is known about the release date of the movie as yet but we do have a feeling that children along with their parents are going to thoroughly enjoy this one… or at least that’s what the Allahyar Legend Markhor Animated Movie Teaser makes us want to believe! Opening with an uplifting instrumental and a bird flying across jungles and mountains, the Allahyar Legend Markhor Animated Movie Teaser ends with the introduction to a boy (seemingly Allahyar) and his animal friends. 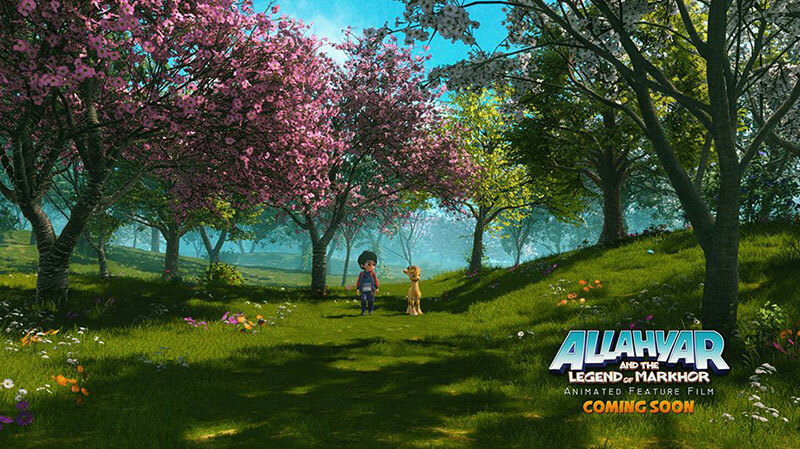 The picture quality of the movie looks promising and the Allahyar Legend Markhor Animated Movie Teaser has all the elements of a good teaser trailer. So yes, we can’t wait for the trailer now! Speaking to the media earlier, Uzair said that ‘Allahyar & The Legend of Markhor’ is an epic tale of friendship about a boy who can converse with animals. The story celebrates mother nature and has a powerful narrative that will emphasise upon the often neglected relationship of human beings with the mother nature.